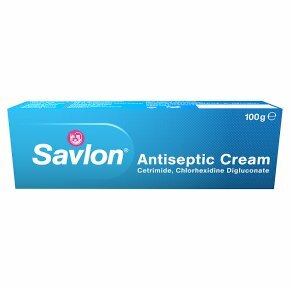 Do not use if you are allergic to any of the ingredients, especially Chlorhexidine as it may cause allergic reactions. Cetostearyl alcohol may cause local skin reactions. Parahydroxybenzoates may cause allergic reactions (possibly delayed).<br><br>USE THIS MEDICINE ONLY ON YOUR SKIN<br><br>STOP using and seek medical help immediately if you have any of the following very rare allergic reactions: difficulty breathing, swelling of the face, tongue or throat, dizziness, skin irritation or rash. If you experience these or other side effects, stop using and seek medical advice.<br><br>Reporting of side effects<br>If you get any side effects, talk to your doctor, pharmacist or nurse. This includes any possible side effects not listed in this leaflet. You can also report side effects directly via the Yellow Card Scheme at: www.mhra.gov.uk/yellowcard. By reporting side effects you can help provide more information on the safety of this medicine.<br><br>Keep out of the sight and reach of children.